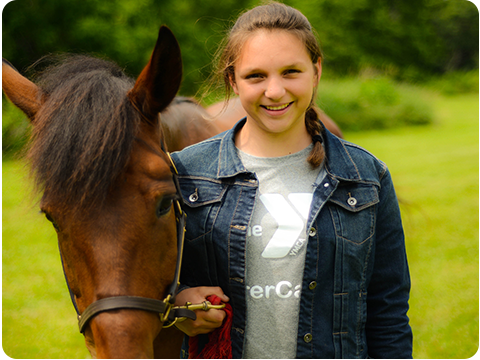 YMCA Storer Camps is the year-round home of more than 50 horses. Our horses enjoy their leisure time in our 4 pastures, and work at both of our barns, providing rides and teaching opportunities to thousands of kids every year. 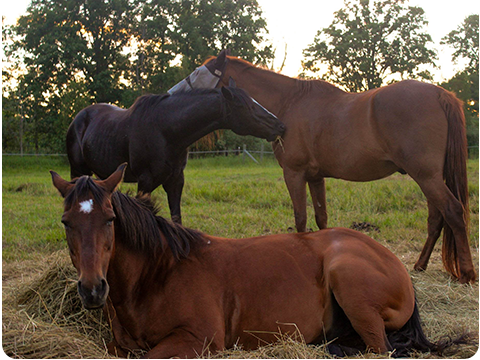 During the summer our horses provide trail rides, horse lessons, and companionship to our Youth and Ranch campers. When the school year rolls around our horses become teachers, helping Outdoor Education students learn about mammals up close and personal. 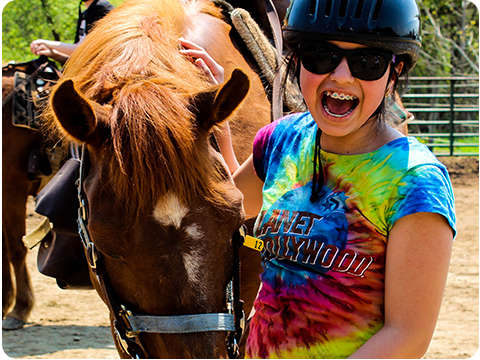 The Ranch program is designed for campers ages 13 - 16 that can't get enough of our equine friends. 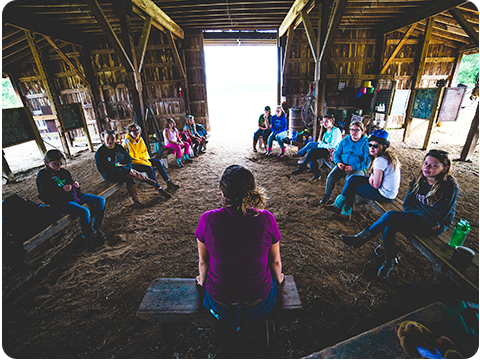 Ranch campers will test their skills, care for the herd, and grow as riders and people. Side effects of Ranch camp include greater respect for mammals, a greater sense of confidence, and stories to last a lifetime. 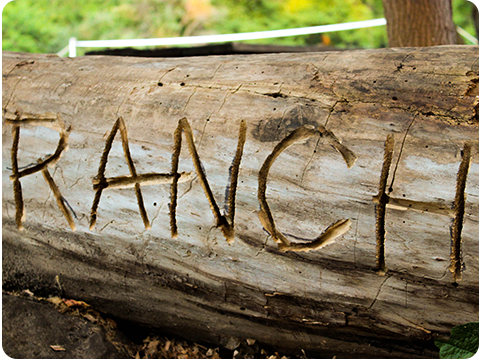 Find out more about the Ranch here. - Horse lessons are available at Summer Camp for campers in the Ottawa, Pioneer, Explorer, and Trailblazer Villages. - 1-hour or 2-hour lessons are available for Ottawa, Pioneers, and Explorers in the morning and Trailblazers in the afternoon. - 1-hour lessons focus on horseback riding; 2-hour lessons also include horsemanship skills like grooming, saddling, and more. 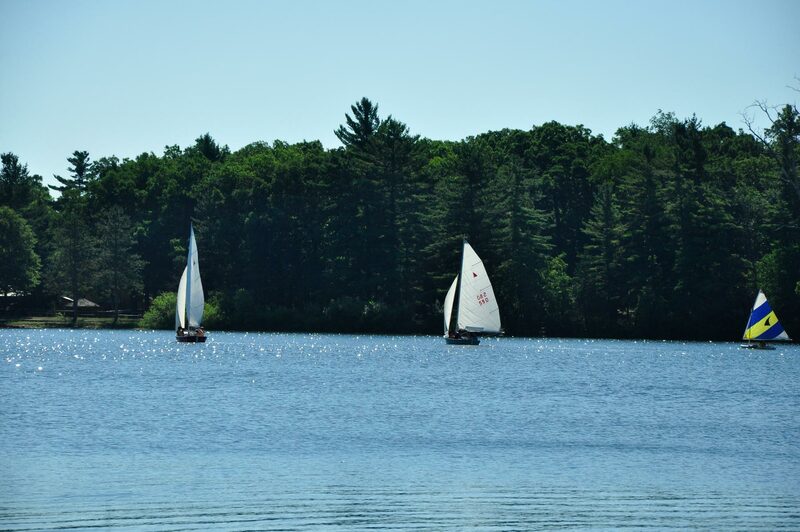 - We encourage campers to sign up before they get to camp, but sign-ups are also available at check-in, pending availability. - Safety helmets are provided; campers have the option to bring their own approved helmets. - Long pants and closed-toe, closed-heel shoes are required during lessons for safety reasons. 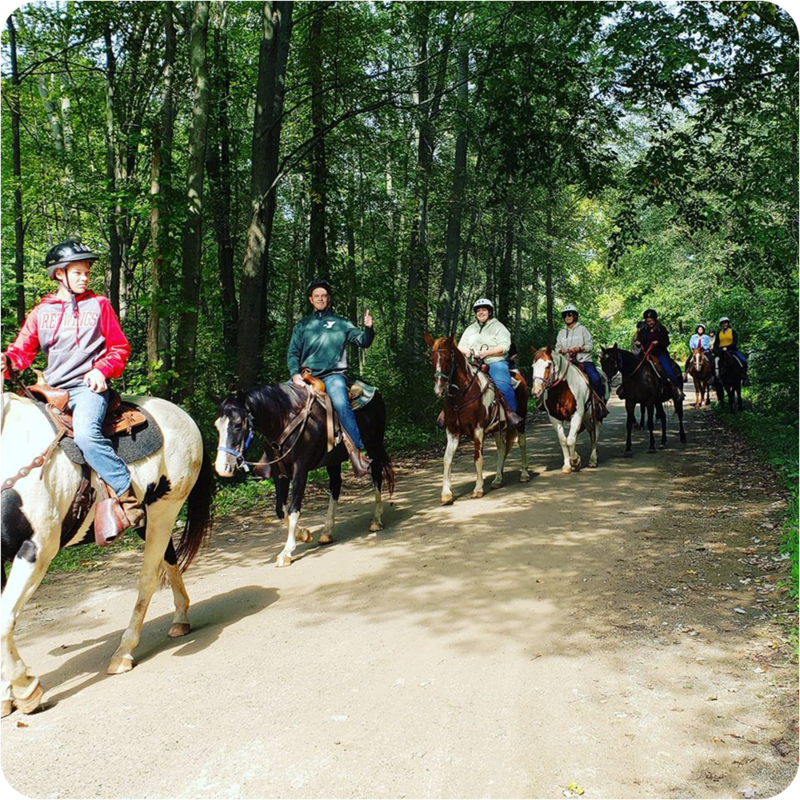 Trail rides are a great opportunity for campers who would like a taste of the horse barn without a taking daily horse lessons. 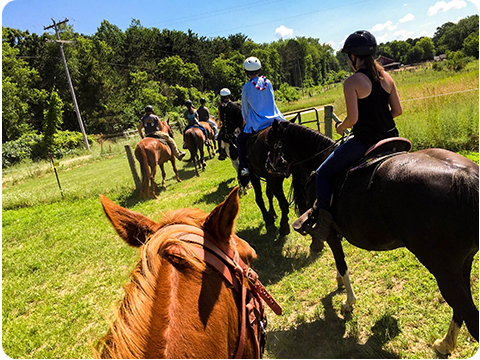 Trail rides are available for Ottawa, Pioneer, and Explorer campers during afternoon hours. Campers will have the option to sign up for a trail ride each morning at breakfast. Staff will announce which campers are riding in the afternoon at lunch time. Looking for another excuse to get on a horse? Join us for Trail Ride Sundays. You'll get to hop in the saddle and enjoy all the beauty that Storer Camps has to offer. Click a date below to register! Have a group that's interested in coming to camp to ride? Contact Lindsay Lewis at llewis@ymcastorercamps.org or call our office at 517.536.8607.